History is full of what ifs … but we only have the history we have. Brutal, messy, contradictory history. A history where fact and fiction are intertwined, and where the heart can often rule the head. Easter Sunday is one of the most potent days in the Christian calendar, and for someone brought up as a Catholic in Ireland it assumes an even greater significance. In a nation where, for so long, Church and State walked hand in hand, the religious symbolism of the day was amplified by its association with an insurrection that is seen as the foundation stone of Irish independence. Politics is dangerous when placed in the hands of poets, and the Easter Rising was shaped by people with a deep understanding of symbolism and its potency. That is one of the reasons why its memory has endured. One one level the rising itself was an abject failure. The British mobilised, and within a week it was quashed. Pearse surrendered, and his men followed suit. In a grim yard in Kilmainham prison, he and his fellow leaders were executed by firing squad. Soldiers shot by soldiers. But Pearse forged a narrative that became the foundation story of the Irish State, a narrative that (for all the revisionism of recent years) persists – as we have seen in the commemorations in Dublin this week. And it is a myth from which successive generations have drawn sustenance. Irish paramilitaries, freedom fighters, terrorists – call them what you will – justify their deeds because of what happened in 1916. We will never know what went through the minds of the 1916 leaders in their final hours – though we do know what they wanted us to think. It’s there in Pearse’s final letter to his mother. This a document every bit as considered as the Proclamation of an Irish Republic read on the steps of the General Post Office. The dignity he displayed in the face of death must be seen as evidence of his conviction that he had struck a mortal wound at the heart of the Union; that he was right and would be vindicated. Remembered by posterity, he and his fellow leaders have been. Quite what Pearse would have made of the Ireland which emerged is anyone’s guess. The political class that took power after the War of Independence and the civil war was not up to the task. Generations of Irishmen and women were failed by them – betrayed it could be said. The Church, pernicious and conservative, held the forces of progress at bay. It controlled education, health and social policy. The Archbishop of Dublin was a de facto member of the cabinet. Poverty and discrimination was fine as long as it was Irish poverty and discrimination, not British. And worse, the Republic turned its back on the north. The Republic’s failure (and the failure of republicans) to come to terms with the realities of Ulster Unionism, and to demonstrate religious and civil liberty in action, became a mirror image of unionist isolationism. Both – unionists and republican – fostered the conditions for the appalling violence that erupted in Northern Ireland in the late sixties, and which was ‘settled’ only after some 30 years on another Easter – Good Friday 1998. History is full of what ifs – what if the first world war hadn’t happened, what if the British had not reneged on home rule, what if the rising had happened as planned on Easter Sunday, what if the British had not responded in such an insensitive way… but we only have the history we have. Brutal, messy, contradictory history. A history where fact and fiction are intertwined, and where the heart can often rule the head. Emotionally it relatively easy for someone from my background and upbringing to see the Easter Rising as a noble act, and to be seduced by the poetry of the revolt. ” I do not grudge them: Lord, I do not grudge/My two strong sons that I have seen go out/To break their strength and die, they and a few,/In bloody protest for a glorious thing.” And I feel the tug. But in my head I know that – like most conflicts – the pain is more often borne by the innocent. The majority of those who died in Dublin that fateful week were civilians. I remain convinced that there are better ways of effecting political change. 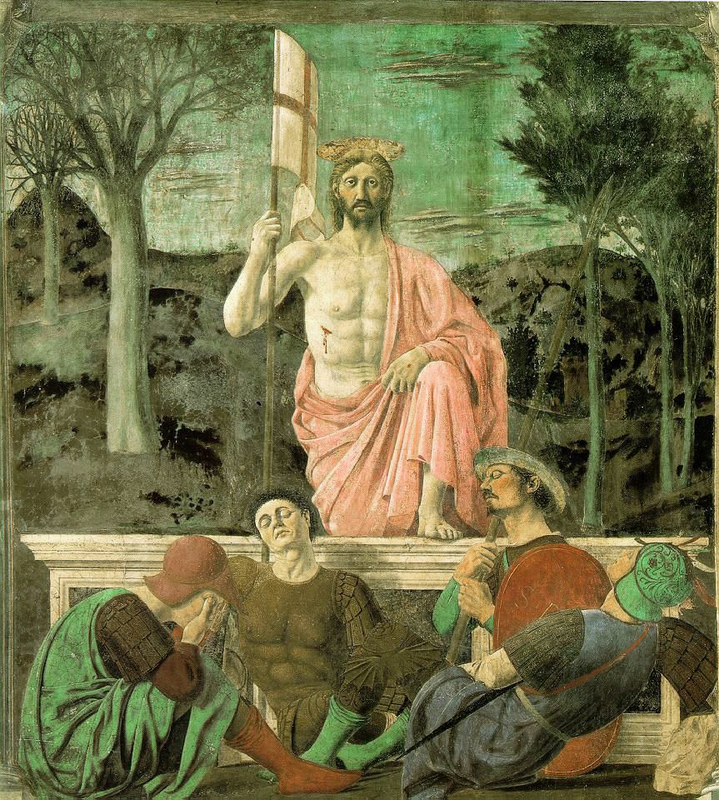 And somewhere, in the mind of someone who finds it difficult to come to terms with the human notion of god, the Catholic in me is conscious that Easter Sunday marks the day when a good man – a revolutionary in his own way – demonstrated that life can transcend death. Blessed be the peacemakers.